Launched back in 2003, Ruby Fortune Casino is a time-honored online casino with an excellent long-term reputation among the gamblers. 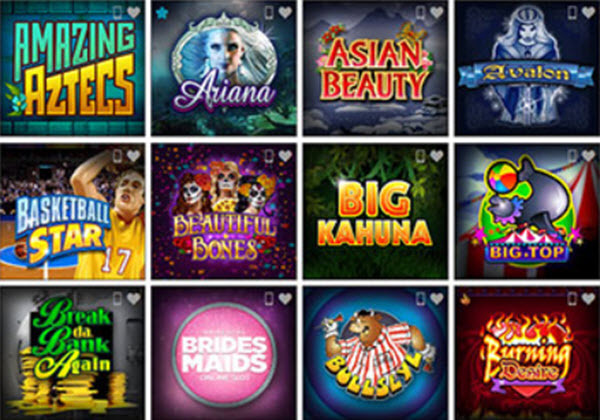 The 500+ games come from Microgaming, and the selection includes everything from slots to live dealer table games. Many of the games are available for play on touch-screen devices such as smartphones and tablets. You don’t have to deposit money to try out Ruby Fortune Casino since you can try most of the games (not the live dealer games) playing with play-money. That way, you can check out if you like the games, the interface, and so on before you decide if you want to deposit money or not. Ruby Fortune Casino is eCogra certified. The games come from Microgaming and there are over 500 different games to chose from. You can either play directly in your web browser or download a casino client. Over 300 of the games are slots. If you are into table games, we suggest you take a look at the sleek Gold collection, since these games have stunning graphics and great game-play. You can access the games through the web browser on your mobile device. Also, Ruby Fortune casino apps are available for Android and iOS (Apple). Just like the other games in Ruby Fortune Casino, the live casino games come from Microgaming. In the live casino, there is no random number generator – the games are instead played at actual physical gambling tables with real playing cards, a real roulette wheel, and so on. Examples of available games are Blackjack, Baccarat, and Roulette. You can play on a desktop computer or mobile device. Ruby Fortune Casino has a big welcome package with three deposit bonuses. If you take full advantage of the package, you will get $750 in bonus money, but that will require three deposits totaling $2,150 and all of them have to be made within 7 days of your sign-up since the welcome package is time-sensitive. Bonus on your first deposit: 100% bonus up to a maximum of $150. To get the full bonus, you need to deposit a minimum of $150. Bonus on your second deposit: 50% bonus up to a maximum of $200 bonus. To get the full bonus, you need to deposit a minimum of $400. Bonus on your third deposit: 25% bonus up to a maximum of $400 bonus. To get the full bonus, you need to deposit a minimum of $1,600. The playthrough requirement is 50x the bonus amount. So, if you accept $750 in bonus money your playthrough requirement is $37,500. Please note that some games, such as the table games and video poker games, does not count fully towards the playthrough requirement. Slots wagers do count fully, so the bonus offer is better for slots lovers than for table game fans.